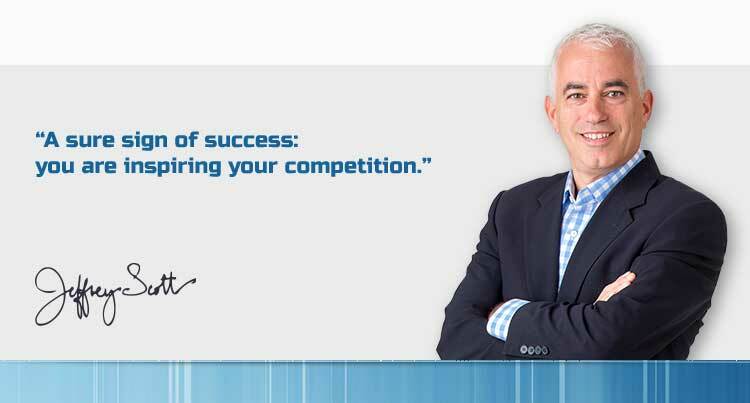 Do You Inspire Your Competition? Tiger Woods won his 15th major golf tournament this weekend. Many thought he was a has-been, but he learned from his mistakes and never gave up. That took courage. His competition was younger and stronger, so he used his experience and self awareness to power his way to the win. Moreover, he beat competitors that he had encouraged and inspired, by virtue of his being such a magnetic leader in the golf world. Others will take pot shots at you, shooting arrows at you. They will try to take your employees. You occasionally lose people who then become your next competition. You become the company to beat! It's an enviable position and one you should relish. 1. Keep in touch with where your competition is excelling. Mike Hommel of the formidable Designs By Sundown will visit job sites of competitors to see who is doing great work, and report back to the team where they are getting beat. 2. Recruit the best to your team--don't try to save 5k by bringing in someone with 100k less in experience. The value of your company is ultimately driven by the value of your team. 3. Be bold and continually take new chances! Your Challenge: Set goals for your team that are both exciting and raise a slight tinge of fear. That's how you know your goals are big enough. Otherwise you will get passed by some company that is willing to take the chance.